When in Las Vegas, make a side trip to see Hoover Dam in Boulder City, approximately 50 minutes away. 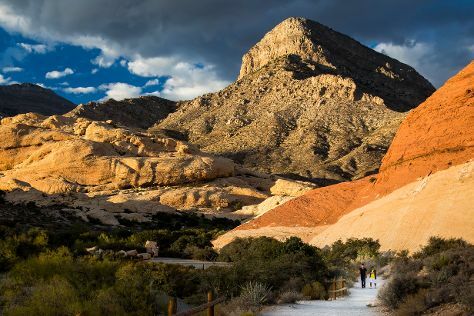 Next up on the itinerary: explore the striking landscape at Red Rock Canyon National Conservation Area, enjoy breathtaking views from Eiffel Tower Viewing Deck, don't miss a visit to Bellagio Fountains, and take in nature's colorful creations at Bellagio Conservatory & Botanical Gardens. To see ratings, traveler tips, photos, and tourist information, use the Las Vegas journey builder website . If you are flying in from Canada, the closest major airports are McCarran International Airport and Laughlin Bullhead International Airport. Expect a daytime high around 36°C in May, and nighttime lows around 20°C. Wrap up your sightseeing on the 27th (Mon) early enough to travel back home.